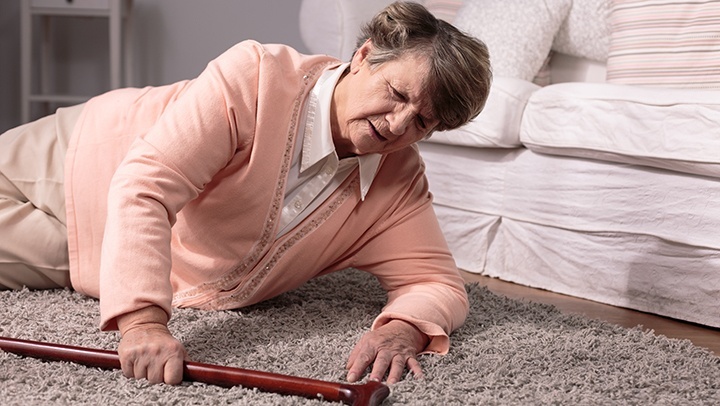 A fall could cause severe medical repercussions for an aging loved one. While we can stand up and brush off a spill, they could crack bones and even die from the bad enough fall. Fall prevention is one of the most important elements of caregiving. As you could imagine, fall prevention occurs primarily in the home. Even the safest room could cause problems. Here are our top recommendations that could stop a senior from falling, and essentially save a life. Grab bars - The bathroom is notoriously dangerous for older adults. However, correctly placed grab bars near showers/tubs, toilets, sinks, and more contribute to stability and security. Gripped socks - Walking around in slippers or socks increases the risk of falling. However, socks/slippers with rubber grips in the bottom can add enough traction to help. Canes and walkers - While canes and walkers primarily help people be more mobile, the stability provided by these items are very helpful. Lighting - Make sure your senior's hallways and bedrooms are well-lit. Walking to the bathroom at night could lead to trouble. An emergency signal system - If a fall does actually occur, a system like Life Alert, or even a smartphone could help seniors call for help. This way, medical professionals can be called immediately and any injuries can be given proper attention. Falls are no joke. Yet the above steps can really help seniors stay healthy. Caregivers need to ensure the above elements are put into place.